Teenarama Incorporated was conceived and developed out of the reunion in 1998 of those persons who actively participated in the Teenarama Dance Party of the 1960s. The Teenarama Dance Party which aired on WOOK’s Channel 14 was the first all black teen television show in the 1960's. The program aired from 1963 until 1970, six days a week. Teenarama Incorporated is a 501 (c), (3) nonprofit organization devoted to the preservation of DC hand-dance as an African - American art form both locally and nationally. The goals and objectives of Teenarama Incorporated are to keep the legacy of the Teenarama era alive, on-going and to promote the DC hand-dance. On Monday, April 5, 2010, a plaque was placed on the former WOOK Radio and TV Station building at 5321 1st Place, NE recognizing the building as a significant part of Washington, DC African American history and culture. 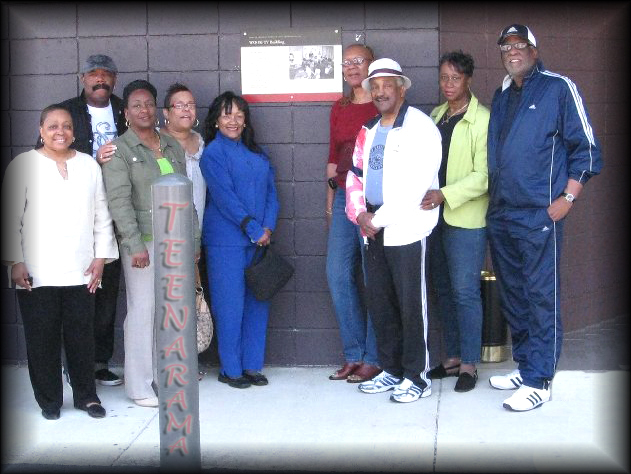 Former Teenarama Dance Party dancers, representatives from Teenarama Inc. the National Hand Dance Association, and others are pictured with the historical plaque. 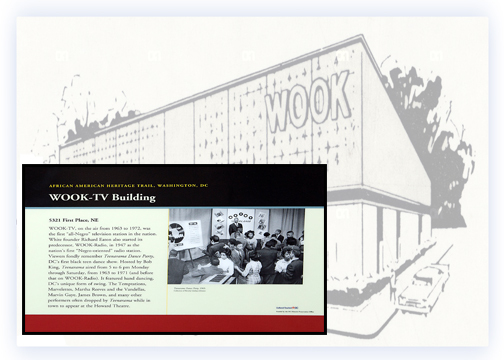 The building plaque highlights the original Teenarama Dance Party teen television dance show which aired on WOOK-TV from 1963 to 1970. The Teenarama show was the jewel of the community as it showcased the dancing talents of African American teenagers in the District and surrounding areas. A gathering of former Teenarama Dance Party dancers, producer of the Emmy Award winning documentary Dance Party: The Teenarama Story, Beverly Lindsay-Johnson, Cultural Tourism DC historian Mara Cherkasky, representatives from Teenarama Inc.and the National Hand Dance Association, and others were on hand to watch the installation of the plaque. It was a festive gathering as they reunited for this historical event. 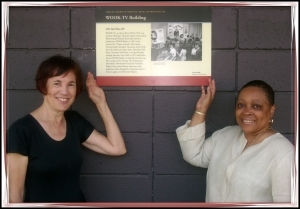 Mara Cherkasky spoke on producer Beverly Lindsay-Johnson's role in initiating the effort to have the plaque placed on the building, as well as on the efforts of Cultural Tourism DC. It took 5 years of negotiations before the plaque was finally installed. In a moment of nostalgia, each of the former Teenarama dancers reflected on their happy moments on the Teenarama Dance Party show. And of course, there was a bit of dancing.